I had suggested that now I had enjoyed my recent forays into bike riding that my better half should give it a try. 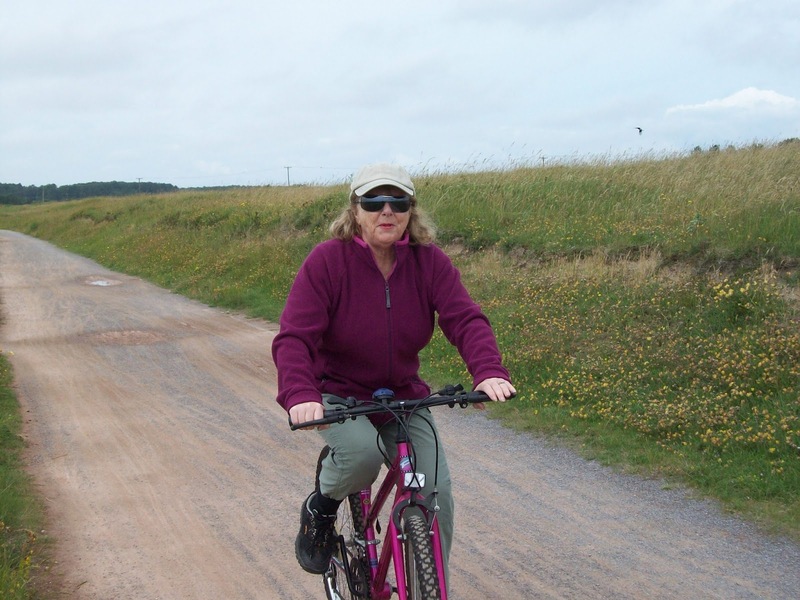 The last time she had been on a bike was in 1984 on the island of Sark. This however did not go well as no one had told her (we thought it was obvious) that one should not use the front brake on its own. The inevitable head over handlebars happened and strangely this incident had put her off biking until today! The plan was for a short trip on the Millennium Coast Path from Pembrey and to see how it goes. They say it’s like riding a bike and it was, no need for stabilisers. 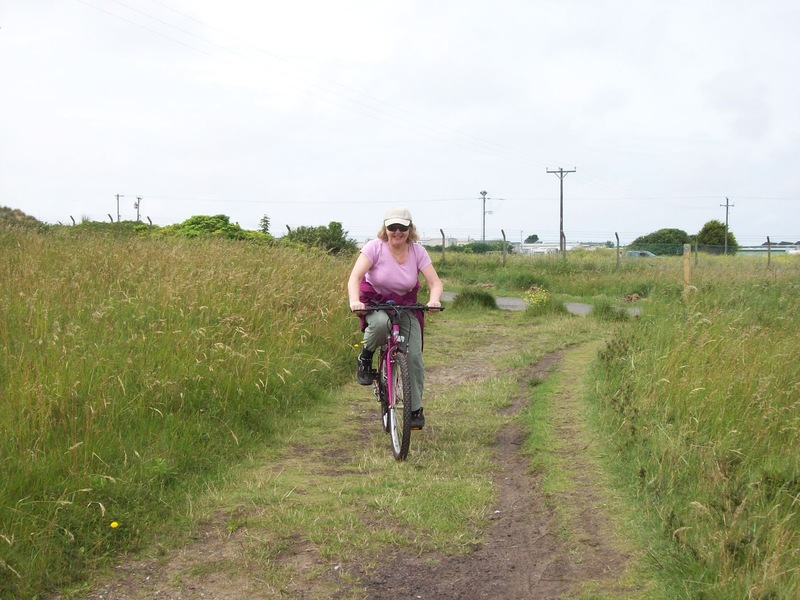 There was some wariness of riding through narrow gaps which were there to deter transport other than bikes. There was also a dismount when a phalanx of bike riders headed our way, more for their safety than hers. 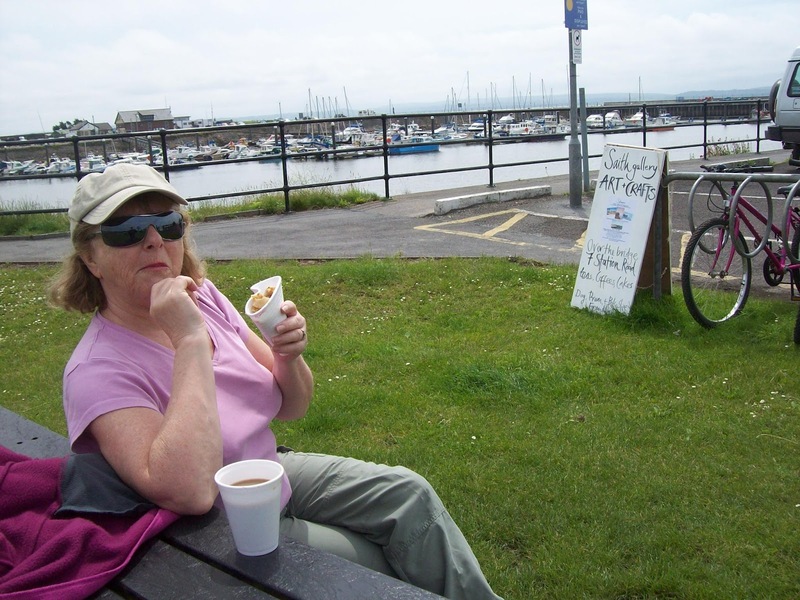 I was not sure how far we would go but before long we arrived at Burry Port harbour where a cup of coffee and a sugar and lime crepe went down well. It was here I saw a cyclist with a small car dog cage on the back of the bike with a small dog seemingly happy to go for a “walk” in lazy comfort. We also saw another dog being carried in a basket. After our refreshments we turned for home. We may do this again.